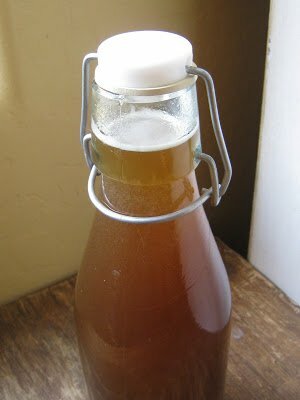 Ever since I began making this delicious cold and cough syrup last year, it has become a staple in my medicine chest. I usually prepare the first batch of the season around this time in anticipation of the days ahead. Let us first discuss the making of simple herbal syrups. 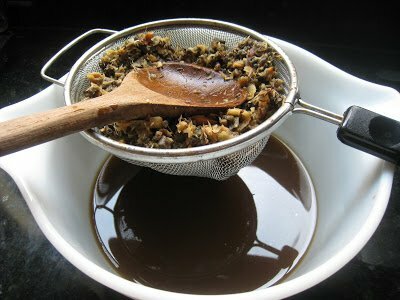 I learned my method for making herbal syrups from Rosemary Gladstar’s Herbal Recipes for Vibrant Health. It is a simple, easy to follow method producing excellent results every time! Combine approximately 2 ounces of herbs and 1 quart of water. Begin simmering the mixture over low heat and reduce liquid down to 1 pint. Strain herbs from the liquid by running through a fine mesh sieve, cheesecloth or coffee filter. Pour concentrated liquid back into the simmer pot. Note: Be sure to compost the discarded herbs. 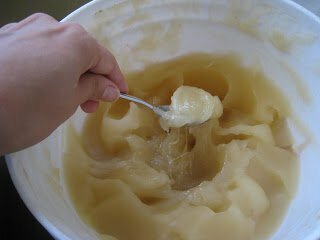 Add 1 cup of honey (or maple syrup, vegetable glycerin, or other sweetener you have on hand) per pint of liquid. Warm honey and liquid, on very low heat, just enough to blend together. Note: Cooking honey any longer, or on a high heat, will destroy the healing properties of the honey. Bottle, label, and refrigerate syrup. Add dried herbs, ginger, and 1 quart of water to pot. Simmer on low heat until liquid is reduced to 1 pint. Add 1 cup of honey to liquid. Over low heat, warm just enough to mix well. The syrup can be used as often as needed, up to every hour, until symptoms are relieved. Syrup will keep in refrigerator for approximately 3 months. -I like to add an ounce of brandy to the syrup in order to help preserve the syrup. Adding the brandy also allows the syrup to act as a cough suppressant. Preserving with brandy will increase expiration to approximately 6 months. 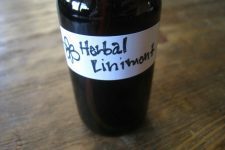 -Feel free to experiment with the herbs. For example, consider adding Valerian for restlessness. -Don’t have licorice root on hand? Make the syrup simply with echinacea and ginger. 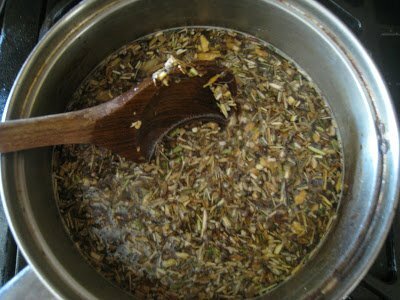 However, increase amount of dried echinacea root to 1/2 cup. -Add 1/2 cup chopped onion to the herbs and ginger for a increase in medicinal properties. Looking for the ingredients used in this recipe? Mountain Rose Herbs is my go-to for all my herbal remedy needs. I trust their quality and appreciate their customer service! Pediatricians are starting to "prescribe" honey and warm drinks for cough . I would like to try this. My son is soooo picky . I can't get him to drink warm tea and honey. Wonder how this will go over? My kiddos like to eat a little plain honey. They also love cinnamon and lemon juice. I let them eat honey mixed with cinnamon and this has helped their allergies (along with a cleaner diet). My son just had a cold and I gave him the honey and cinnamon, but with lemon juice as well. This helped him so much better than the medicine that I broke down and bought at the beginning of the cold. Good luck!!! Hi Pamela. They rarely get sick since we cleaned up our diets a bit and started to consume more vitamin C, but if they do get a cough I use just put a teaspoon of organic raw honey in a bowl and add a couple of shakes of organic cinnamon (abt 1/4 tsp) and squeeze in just enough lemon juice to make it a little runny because for some reason they love drinking any liquid with a spoon. I’d say it’s abt a teaspoon of lemon juice. My daughter likes hers w/out the juice. They get on kicks where they will just eat honey and cinnamon together because it’s yummy, so when I read how great it was for coughs/colds, I jumped on it. It sincerely works better than otc medicine and helps them sleep better than any night time syrups I’ve used in the past. Good luck! Oh yeah. I started off using a tablespoon of honey, but a tsp works just the same. Great! Thank you so much. I am going to try this with my son. He’ll be 5 in March and he’s been coughing for the last couple of days. Last night, he woke up in the middle of the night crying because his throat was hurting. But I’ve been giving him the Similasan Kids Cold & Mucus Relief and that has seemed to be helping the little guy. It has 100% natural active ingredients. But if I can give him something that I already have in the kitchen, I’m all about that. My granny used to chop up a big white onion really fine and put a little water on it, and let it sit for awhile, until it’s juices rose, then would drain a spoonful off by getting a spoon and putting a little sugar on it and pressing down into the onion to fill up the spoon, then give it to me for coughing. It works! Just give him a little. He only needs a little bit of this. @Deb Great question! Approximately 3 months and up to six months if you preserve with the brandy. Great post! I am going to try this. We grow our own ginger, so I have a bunch of that already. I may add some lemon balm and horehound that I grow. I also love Mountain Rose Herbs and have bought a lot from them. This is great! I'm going to start making my own!! I wish I came across this blog last week! I am going to try this. Thanks!!! Anytime I am sick I take some zinc and vitamin C, when my first symptoms appear and then I drink lots of licorice root tea, echinacea tea, rose hips and hibiscus tea with raw honey and ginger, organic vegetable broth, and eat raw honey by the spoonfuls. I had swine flue two years ago, all I did is drink herbal tea, sleep and take hot baths until I felt better. Honey is scientifically proven to work better than cough medicine and even cough suppressants. Not only does it soothe sore throats, but it also kills the virus that is making you sick. I've been buying elderberry syrup. I'd like to try this too. This looks great. I make a lot of my own lotions and things. I plan on trying this. Do you still use the syrup for kids when you add the brandy to it? Wow. What a great resource. Thanks so much for linking up on my meme. I shared a link over on Facebook as well. Thanks- This will be something I can experiment with this winter- and thanks for the tip to add brandy- does this mean I should drink it out of a snifter? (LOL). You are an awesome resource. Last time I was here i was bookmarking your advice…. And i will be doing it again. Thank you so much! This looks easy enough to make. Thanks so much for sharing your knowledge. The more people are exposed to herbal medicines the less they will reach for the dangerous over-the-counter and RX options that have more side effects than benefits. People are slowing waking up to ways to find true health thanks to people like you. Just a note: be sure to get real unpasteurised honey. Store brand honey is not even made from honey. Google it! I need to search your blog more–great ideas. cheri from Its So Very Cheri–come for a visit. Quick question for ya – did you get the Purpurea or the Angustifolia Echinacea root? I had the exact same question as you as I have no idea when it comes to herbs (but very much want to learn). Then, on the mountainrose website under the Echinacea ‘contemporary info’ section I found this sentence: “To date the Echinacea angustfolia is presumed to be more effective than the purpurea or pallida.” So, I’m going to go with the angustfolia until someone tells me otherwise. 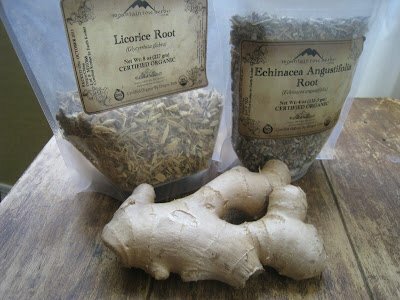 You can get licorice root from http://www.savvyteasandherbs.com. They are not organic certified, but they do not spray pesticides on their products or radiate their herbs. Reasonable prices too. Looks like a great concoction to have on hand! 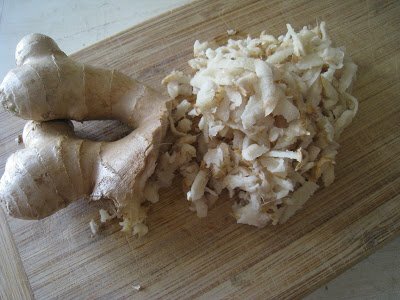 Is there an advantage to using the fresh ginger root vs. the dried? I am *obsessed* with your blog. Stop it – I need to feed my family. No, I lied. Don't stop it, they can do without. Question: I'm wanting to start making these recipes, but am unsure of what size of herb packages I should buy? What are the shelf lives of these root herbs (and also of Horehound)? Me too- I read somewhere about someone having a ‘blog crush’… I guess I got one too… I love reading this stuff!!! Thank you and may God bless you and yours! glad i found this blog! 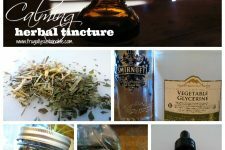 i love learning about natural and herbal reedies, and i love finding new ones! i was wondering, i’ve read that making tea out of thyme helps with coughs too… do you think it would also work with this recipe if added to it? Is there anything that could be used instead of honey? I have a 4 year old and a 10 month old with a cough, and I know children under 2 aren’t supposed to have honey. I would use brown rice syrup for little ones that age. It will still help with soothing the throat but won’t have the healing qualities the honey has. Recently found you and just used this recipe as a jumping off point for another medicinal syrup I had in mind…a concentrated tea for a health need I have. I didn’t enjoy the taste of the tea to drink it throughout the day so I concentrated it and now I just have to muscle down a tablespoon or two once or twice a day. So far, so good. Thanks again!!! Can anyone tell me what form the valerian comes in… We’re a little unsure where to buy it and in what form? Just a word of warning – licorice root can cause some drug interactions / problems for people with high blood pressure – it can also deplete the potassium in the body causing irregular heartbeat. I’m going to leave out the licorice, and use chamomile instead of valerian for the restlessness. Great idea, though, and a lot tastier than “Super Tonic” Super Tonic will kill anything, but boy, is it hard to get a youngster to take it more than once! 1 part – chopped Habenero peppers. NOTE: Use a Blender to chop up each of these Ingredients VERY FINE! Find a Glass Jar large enough and fill it 3/4 FULL with these Ingredients. Fill the Glass Jar to the Top with RAW Organic Apple Cider Vinegar (Bragg’s or Spectrum Naturals). Let it sit two to four weeks before using. Top it off with more vinegar, as needed. Strain through a fine cloth or unbleached coffee filter. Take at least 1 oz. 3 times per day when you have a Cold or Flu. I make this recipe also but it’s not quite as hot. I use a handful of each EXCEPT a half-a handful of Habenero peppers. I let the mixture sit in the apple cider for two weeks, strain and then the second batch sits for 2-4 weeks. My children love it in V8 juice as it tastes like Spicy Tom or Mr. T that they get on the airlines. They call it Mom’s Dragon Breath. Try that and maybe they’ll like it better. Calling it Dragon’s Breath helps too! 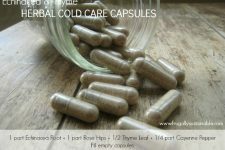 Also, http://www.yearstoyourhealth.com is my local source for herbs. They do mail and phone orders. Andrea, I make this often, but I also use marshmallow root in it as well as onion and garlic, it really works great. I enjoy your blog a lot, thanks! Where do you buy your bottles for storing the syrup? Will a mason jar have a good enough seal for something like this? I’ve been planning to make a sleep tincture, but have been hesitant because I wasn’t sure if I have the right container to store it in. Thank you for this recipe. Is it safe to use for infants? My son is 6 months old and has a raspy cough and is extremely congested, but no fever. Just keeping him from sleeping well and causing discomfort. I’m in the process of making this for a persistent night-time cough (left over from a nasty sinus cold I had about four to five weeks ago). The photo looks like you grated your ginger wtih the peel on. Is this so? One more question: do you simmer it down with the lid on or off? The three worst ingredients I remember my grandmother used to make this since I was a child! It made me so violently sick that it ruined by stomach lining! I used to vomit so violently from this nasty taste that I hate anything ginger in it! I have healed my stomach now in my 50’s but years back in my 20’s I had severe gastritis and ulcers no one would believe! Growing up since that experience was the worst I would get so sick to my stomach from just eating anything! But thank God I started fruit juicing and green juicing which healed it! But forget apple cider vinegar or ginger or black pepper or turmeric! I drink herbal tea with Valerian to help with restlessness and it works quite well for me. How much Valerian should a person use in your recipe? Can I ask please why your Honey is “creamy” looking?? That is what honey is supposed to look like. That is pure raw honey not processed or altered in any way. It gets creamy when it begins to crystallize. Out of the hive it is like liquid gold. My mom and dad kept bees all my life. Nothing like sneaking over before they stir in the morning and raising the lid to the hive ever so gently, and slicing off a piece of honeycomb and sucking out the honey. Ambrosia of the Gods. Some honey such as Sage or Tupelo may never get creamy. It’s a pretty complicated process with such variables as time and water content etc. to factor in. Peace. Thank you for another great recipe. Where do you get your cream honey? I have this simmering on my stove right now. Can’t wait to try it next time I get a cold! I was just wondering what size bottle did you put this recipe into? I would also like to thank you for posting this recipe I will be making some soon. Do you use this and the elderberry sryup too or only one? Mountain Rose Herbs has so many diff. listings for Echinacea. Which one do i buy??? Great question Mary! I always go with the Echinacea Angustifolia Root…a bit more potent. Thanks so much! and thank you for doing this website. It is so helpful, especially to us moms who are triing and learning to provide our children and families with a safer natural way of living. Thank you for sharing your knowledge and experiences! Another question , i have your cold and flu tincture and lost the info you provided with it. What are the dosages including children 2 yrs to adult?? and since it has alcohol, is it ok for children??? I really loved the book Herbal Healing for Children by Demetria Clark, it had so mayn great recipes and tips for herbally caring for children and believe me with 5 kids I have really tried a lot of recipes in the book:) Great post! Thank you for the recipe. Is it 2 oz herbs by weight or mass? I made this a couple weeks ago as I was under the weather. Not only is it delicious, but it really does help. One does not mind taking this because it is so good. I almost can’t wait to feel bad again just so I an have some more! 🙂 This is Awesome!! I do a lot of canning of my food and was wondering if I could process this in the pressure cooker to have longer shelf life with brandy in it. I’ve noticed that the honey seems to partially return to solid on thr bottom and it makes it hard to get out…eespecially in the medicine bottle. Is there anything I can do? Cook it longer? Add less honey? Does the honey settle on the bottom? Is it just me? Am I doing something wrong? I just finished making this and it tastes great! But I have a couple of questions though. How does adding the onion change the flavor or does it? Also, should I shake this before I use if it’s been sitting for a while? Thank you in advance. If adding brandy, when do you do this? Do you want to cook off the alcohol?